At what cost have we subjugated our own dreams and passions to doing the necessary? 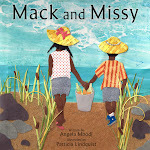 In a mainstream society where the mature African American woman is all but invisible, and her style and voice are muted out by a culture fixated on youth, wealth, and celebrity, Fierce and Fabulous offers whispers of wisdom for times of change. NOW is the time to transcend any limiting thoughts and beliefs about yourself; and to take back your dreams, your joy and your passion. Fierce is part of the process –it is you getting a revelation and determination to grab the reins of your life and take action! Fabulous is a destination; a place where you live out your greatness! Every dream that has entered your heart bears the DNA of your life's joy, passion, and purpose; and you are a masterfully wired circuitry that has already been equipped to actualize your hopes, dreams, and intentions. 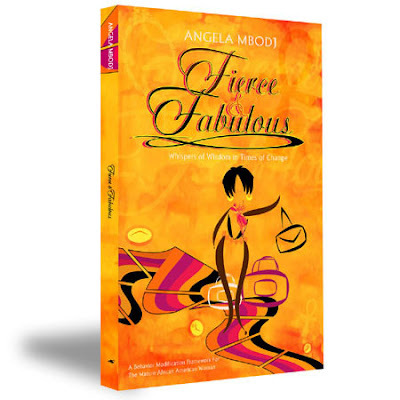 If you are ready to unload some baggage and shift a few gears, Fierce and Fabulous unfolds ideas, strategies, and anecdotes to prepare you for the ride of a lifetime – destination FABULOUSNESS!
" I'm giving the next book to my sister. I know she needs a break through. And, it's helping me stay on track as well. Your gift is a blessing to women. I was glad to put this check in the mail because you are changing and improving lives. It is money well spent". "I'm on page 40 of your book and it is funny cause you may as well titled the book "Karen this for you" Your book is very inspiring with real and practical solutions on the same page. Unlike most books you have to wait to the end to get to the point. I don't feel so isolated now that I know other sisters have the same concerns as I. I started to highlight the most profound statements except I would end up highlighting every sentence. I'm not surprised that you have written your book with so much clarity for when we talked you were always clear and profound. I see many book talks and workshops to follow. This could be a movement." "I want to thank you for writing your book.After reading the first page I knew this is exactly what I have been waiting for! energy to finally go and buy the book for study to the test for university in may,I have always wanted to do that and now I am going to take the time for it. “We wear the Mask that Grins and Lies. It hides our cheeks and shades our eyes. The opening words of Paul Laurence Dunbar’s famous poem are sobering reminders that many of us are trapped behind a veneer façade that portrays contentment while we secretly suffer within. They are intimately painful because in large measure they ring true. We smile because wallowing, anger, and resignation are not options. We don’t have time to cry, so instead, we suppress the frustration caused by the repetitive demands of everyday life that fatigue us, cause overload, and curtail opportunities for free time and creative expression. We replace doing what we desire with doing what is expected –doing what needs to be done. Finding the time and focus to attend to dreams seems, well just that – a dream. Complacency and resignation have caused the wings of our spirits to be clipped. The visions we once held for our lives blur beneath the burgeoning responsibilities of our families and careers. We manage to get by though; and still indeed, in many ways feel blessed. We are so much better off than so many others that we feel it wrong to complain. And about that much we are right. Dissatisfaction should bring about a change, not a complaint. While some of us have worked through barriers and attained varying levels of fulfillment many of us have vacated the playing field. We have accepted the status quo and the low-grade depression that often- times accompanies settling for less. Managing the intricacies of life can be complex to say the least. The day to day assortment of tasks and responsibilities represent challenges for any woman, and are even more daunting for a black woman. Like most women, we juggle roles of lover, mother, employee, employer, neighbor, friend, and so on. We have been taught from an early age to be responsible, “make ourselves useful,” and to not let others down. As a result we’ve mastered the art of sacrificing ourselves and our deepest desires and intentions in exchange for the benefit of others. It is no wonder that self- sacrifice tends to permeate our experience. Sacrifice in and of itself can be noble and productive. When it is purposeful and delays immediate gratification to achieve a more beneficial future outcome, sacrifice is wise. When self-sacrifice is perpetual, as opposed to situational, it is likely a manifestation of marginal self-worth at best and turns to cynicism and resentment at worst. For an incredibly long time black women have been indulging everyone but themselves. We’ve suffered, trying to measure up to standards which are foreign to our own ethnic and cultural orientations. Our proclivity towards judging ourselves by the standards of others has been an exercise in futility, and most detrimental to our self-esteem. Affirming yourself, knowing who you are and what you presently want out of life can be obscured by the fatigue and overload that many of us are experiencing in the autumn of our lives. Our society, economy, and family values as we once knew them seem almost under siege. Fending off the physical and emotional aspects of aging in a youth-centered society is another constant battle that can erode confidence and also throw us off balance. Our true natures and intentions get cloaked under layers of the thick skin grown to ward off the worries. Consequently, it is critical that we skillfully peel off the layers of excess crap to attain clarity. Clarity and focus are two essential keys to achieving success in any endeavor. They are critical to realizing self-actualization. We have a moral responsibility to ourselves and the women we raise and mentor to delve inward. Despite the myth, there is no real glory in martyrdom. Let’s commit to not only name, but also to tame our pain. When are you going to begin healing? Who are you? Are you the sum total of your personal and professional accomplishments? Perhaps you define yourself by what you do for a living, or what you look like. Do you describe yourself as Jessica’s mother, or Raymond’s wife? How big is your universe? What does it revolve around? Does your life’s vision guide your daily choices? Self- analysis and honest answers help you to achieve your goals and aspirations. A good way to begin significant exploration is with the following questions: What would you do with your life if you had no family responsibilities, no limitations physically, emotionally or financially, and failure was not an option? What would you do every day simply for the fun of it? Answering questions like these should help you to establish goals for yourself, because the answers likely reveal the real essence of you and your dreams. You hold the key(s) and the map; all you have to do now is get on the road and drive. Onlookers only see what they think your life is like from the outside, and chances are they are wrong in their assessment. No matter what it looks like, only you know the authenticity of your existence. Consider Rebecca, who’s been the pride of her family for years. Perhaps part of her journey has been your own. 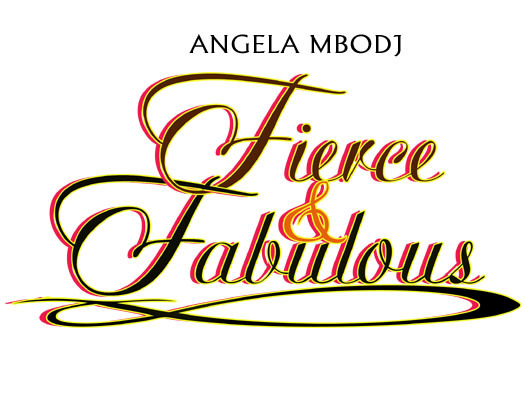 To contact Angela Mbodj for media inquiries, bookings, events, etc. submit an inquiry using the form below. Angela Mbodj is a sought out natural inspirational coach and motivator, who has worked on behalf of women and children for more than a decade. Her goal in writing this book is to assure you that you are not trapped, desperate, or alone; and that by making small consistent changes you can effectively dust off your dreams and live them out fully.